The holidays are upon us, which means time with loved-ones, parties with friends and children grinning from ear to ear. Also along with the holidays are to-do lists that are a mile long, packed schedules, and stress. Stress isn’t always a negative thing and can even be positive in small doses. It can give you adrenaline to help get the last few items checked off your list, but it can also harm you physically. All too often we carry our stress in our jaw, which leads to bruxism. Bruxism is a condition in which you grind, gnash or clench your teeth. 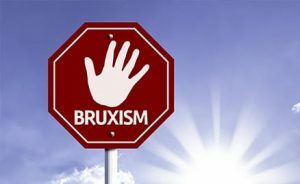 If you have bruxism, you may unconsciously clench your teeth together during the day, or clench or grind them at night (sleep bruxism). If you find yourself having any of the symptoms listed below you should visit your friendly dentist at Dental365 as soon as possible. If left untreated Bruxism can lead to more serious issues including TMJ, teeth damage, and sleep deprivation. Treatment for Bruxism can range from dental protective devises such as mouth guards or splints to realigning the teeth with braces or in severe cases, oral surgery. Take time this holiday season to slow down and enjoy your friends and family. Remember to take deep breaths and find moments to relax during your day. If you are experiencing any of the bruxism symptoms listed give us a call today at 844-365-3368 to make an appointment at your nearest Dental365 location. Happy holidays from all of us at Dental365!